It’s mid July and the Tour de France is heading into the home stretch, but here in the Middle of America, biking events are heating up. The famed Ragbrai–a traverse across the state of Iowa–begins in a week. The Hotter’N Hell Hundred Endurance Ride (a hundred mile ride during a month where the average daily high is 96 F) takes place in Wichita Falls on August 24…..
I’ve lived across the USA and across the world, but I’m a native Midwesterner, and proud of that fact: born in Iowa, secondary school in Michigan, now rearing my children in Ohio. I don’t know if many people realize what a ‘big deal’ long distance bike riding is here in the American Heartland. The region has come a long way since the days of the movie “Breaking Away,” the plot of which turns on the idea that an Indiana high schooler’s devotion to long distance biking is quirky, and foreign; that in the 70’s a word like “Campagnolo” would be more apt to be identified as a pasta than a bicycle parts maker. 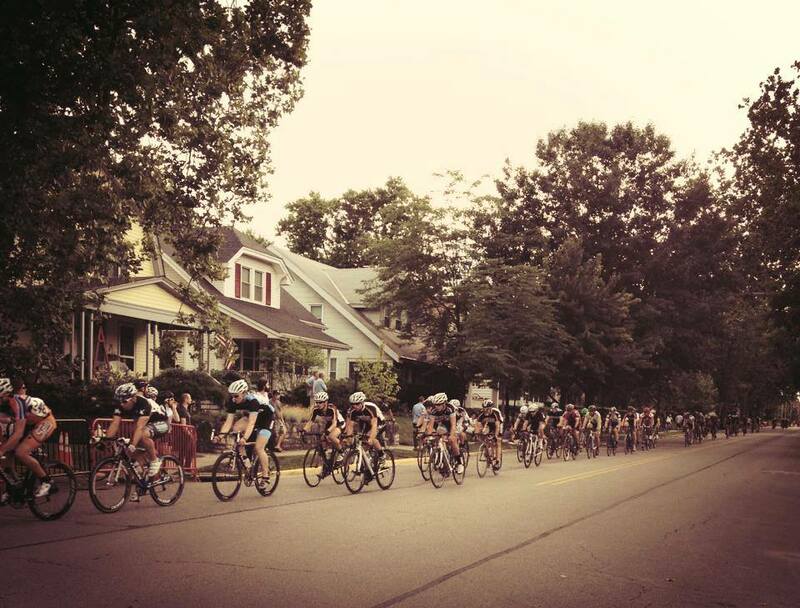 The Tour of Grandview and The Great Ohio Bicycle Adventure (GOBA) are just two of these festivals of Midwestern, mid-summer biking, both taking place in Central Ohio. And I have the privilege of knowing and working with the Medical Director of both: Dr. Tom Pommering. I asked him to do a guest blog on his adventures in June covering the 25th annual GOBA, and the following is his report! 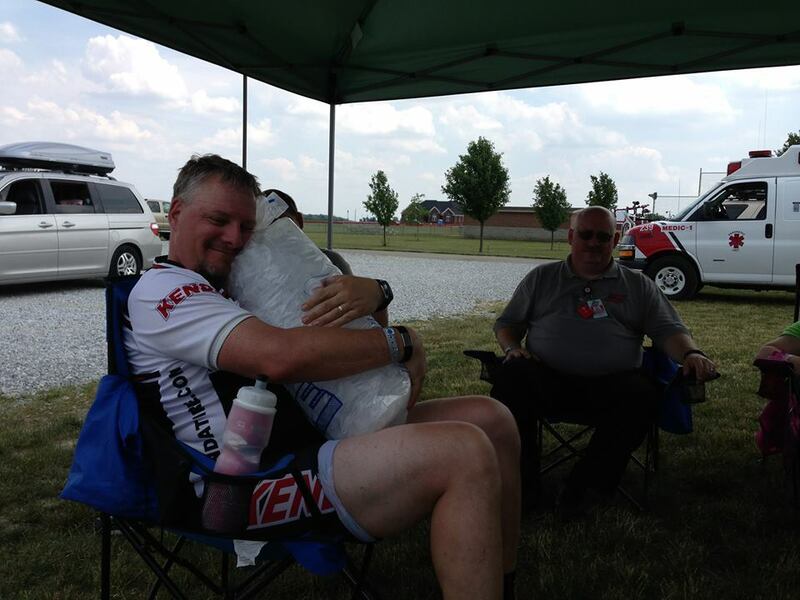 Dr. Tom Pommering enjoys the ice after an ‘optional’ 100 mile ride. Cool down, then time to get to the medical tent to care of some riders. GOBA is a week-long bicycling tour that brings up to 3000 cyclists, ages 2-90, from 40 states and several countries on a daily 50 mile ride through the peaceful countryside of Ohio. With such a large and diverse group of people performing this daily strenuous activity, there exists a need for a unique medical system to support this group for a week. For almost 20 years, I have had the privilege of directing the GOBA Medical System. There are many logistical challenges to providing medical coverage to a large participant group that is traveling to a different venue each day while being exposed to the elements, environment and each other. Here are a few pointers I’d like to share with anyone else who may be tasked with this responsibility. They will represent a wonderful slice of life. 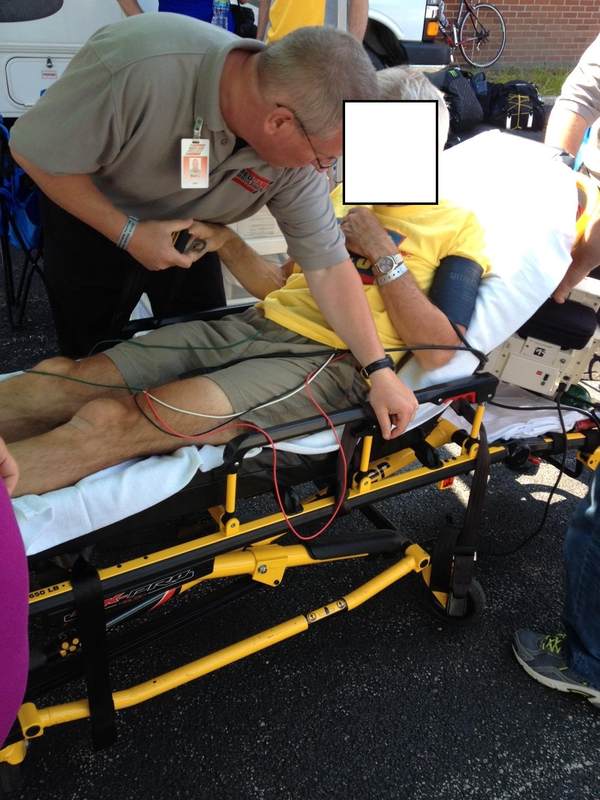 Your riders will come to your event with all of their pre-existing medical, surgical and psychiatric problems, controlled and uncontrolled. Be prepared to address a wide variety of medical conditions including the most common ones associated with the age of your participants. For us this means cardiac conditions such as arrhythmias and angina, diabetes, and uncontrolled HTN. Since the riders come with a range of experience and pre-event conditioning, expect the typical overuse injuries, dehydration, heat illness and mental/physical exhaustion. You will also see illnesses in adults and children, abscesses, sunburns, lacerations and major trauma. Riders are cared for in 2 settings: On the bicycle route and in free-standing medical clinics. Route Coverage. 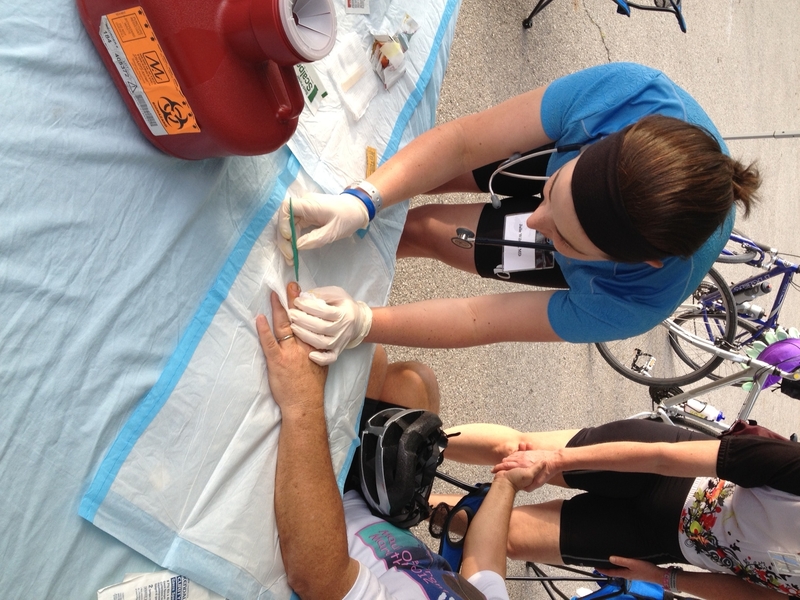 Over the 50 mile route, injured riders are either cared for by members of the volunteer medical team who also ride the route each day, by a contracted EMS company who also travels the route with fully stocked squads, or by local EMS when needed. Local community hospitals, EMS and Fire are notified well in advance prior to our arrival so that our medical systems can work together when needed. Most of the major trauma that we see is addressed en route. It’s important to know the nuances of your route in advance so that you can gain safe access to injured riders and know the quickest, non-rider routes to the local hospital. Mobile Medical Clinic. Twice per day, a mobile medical clinic which is an RV and a tent is staffed with 20 medical volunteers with backgrounds in Family Medicine, Pediatrics and Primary Care Sports Medicine, as well as residents, fellows, RN’s and medics who volunteer to see riders in this free, walk-in setting. The clinic is prepared to evaluate and treat various illnesses and injuries, minor trauma, “road rash” and dehydration. We expect to have 100-150 visits during the week. Communication. Hamm radio is used to communicate between our contracted EMS and tour staff; provide route safety updates, weather updates and estimate rider density. We have found Hamm radio to be especially effective in allowing essential communication to reach several people at one time and have also found it more reliable than using cell phones in rural areas. Of course, this is just the tip of the iceberg. Hopefully, this will prove helpful for anyone who is providing care for a diverse, “traveling city” of cyclists, which comes with both its challenges and rewards. Thanks for that Tom. And let me share one more piece of practical advice, courtesy of the Clinical Journal of Sports Medicine. If you are ever tasked to perform a Road Bicycle Fit Assessment to prevent those saddle sores you can get in an event like GOBA, be sure to check out the 2005 CJSM article written by Marc Silberman et al. which can be accessed here. You’ll find this article an invaluable reference. Do you cover any bicycle tours or competitions? Do you provide coverage for any mass particpatory event? We’d love to hear your thoughts on and strategies for addressing the types of issues brought up in this post.